This blog was created in December 2013 and for the first year or so not many people were reading it. It started as a platform for me to share my thoughts on all things racing – with a focus on ‘tipping’ horses that I fancied. I, and the blog, have come a long way since those early days. I am a much better punter and the content is much improved. Over 1300 people now read the blog daily, with more at weekends. The blog had a redesign in July 2016. 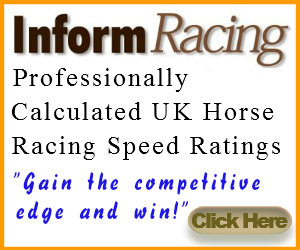 The heart and soul of this blog is an engaged community of racing enthusiasts who like sharing ideas, having fun and making profits. I would like to think we are all on journey of development and discovery. The ups, the downs, the highs and lows. In this section I will ‘tip’ horses that I am betting on myself. My standard bet is £20 per point and I will usually tip between 1-3 points. It took me some time to build up to that betting level, and £2.50 / £5 is usually a wise place to start. I welcome polite disagreement and many readers will comment about a race, why they may agree/disagree and what they themselves may be backing. I back all my tips myself and have confidence in my ability to make a profit long term, as the results so far demonstrate. There are a handful of micro systems (trainer based) that I have researched on the blog and I post the qualifiers in the free daily posts, usually from the members’ posts. I don’t do this every day but try to give something in the free posts often enough, especially when there is no 3m+ chase to analyse. Many use the research/qualifiers as a guide to help with their own analysis. How you use them is up to you. You can always find the research in the FREE REPORTS AND SYSTEMS tab above. So, that is the main thrust of the Free Daily Posts. I would like to think there is something for everyone, while at the same time being a few areas that I focus on. There is always the odd other thing going on as well. I give away plenty of free reports (trainer/stats based) and other content. I will also discuss/share my thoughts on other people’s services that I think you may like to try. My aim has always been to provide something engaging, interesting, informative and useful. I want to help you enjoy this sport even more than you may do now. That is why I blog. There is always something going on and collectively we are all heading in the right direction. Everything is open and transparent on here. I publish results on a monthly basis so you can see how well everything is doing. How you engage with the blog is up to you. I hope you find that it enhances your enjoyment of this great sport of ours. 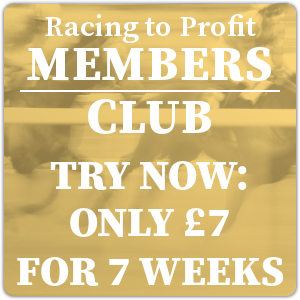 If you have any questions then do send me an email (info@racingtoprofit.co.uk) or post a comment on today’s Daily Post.